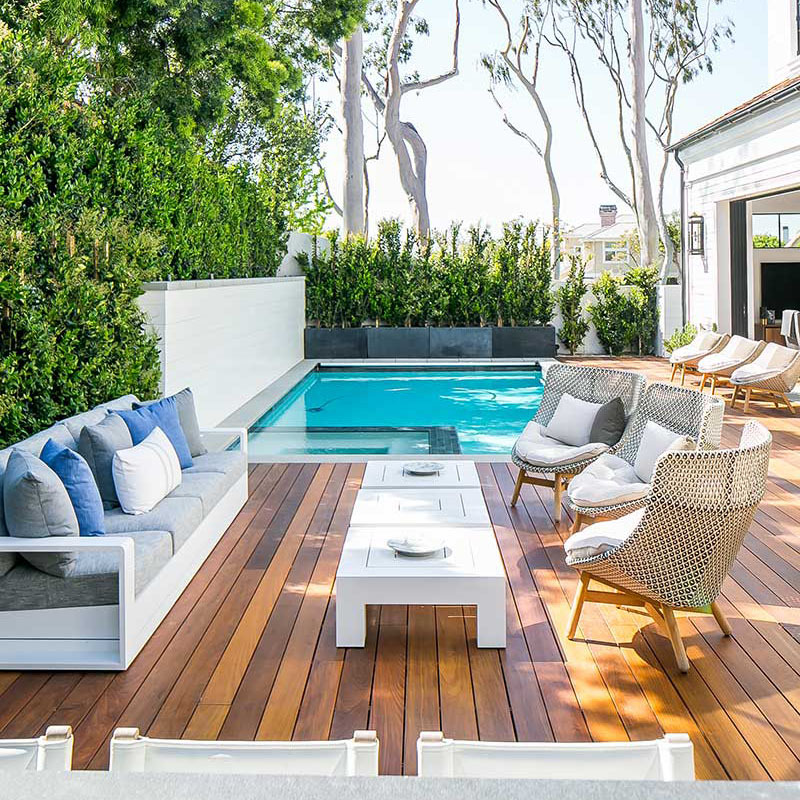 This transitional style family home in Newport Beach, California designed by Brandon Architects blends traditional materials with a modern architectural flair. 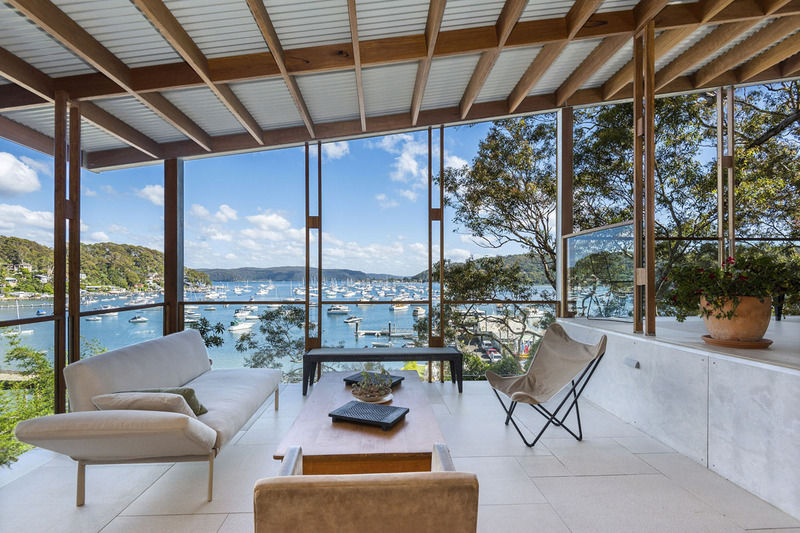 Situated just steps from the shoreline in Avalon Beach in New South Wales, a northern suburb of Sydney, Australia, this two storey split level house offers harmony and privacy in a beautiful setting. 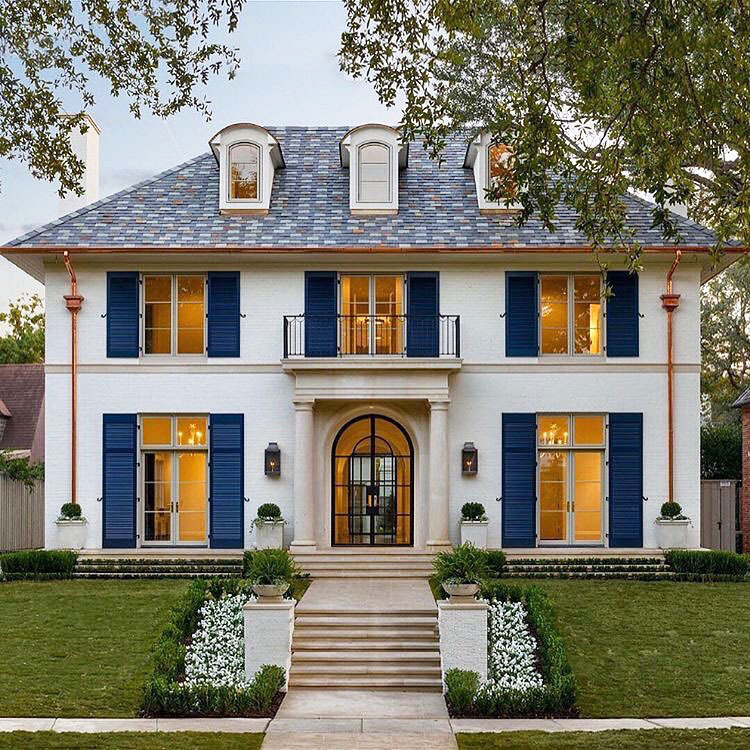 Taking inspiration from northern European architecture, this beautiful luxury estate in Atherton, California is designed by Arcanum Architecture as a collection of buildings including the main house, cabana guest house, a pool house and a six-car garage. 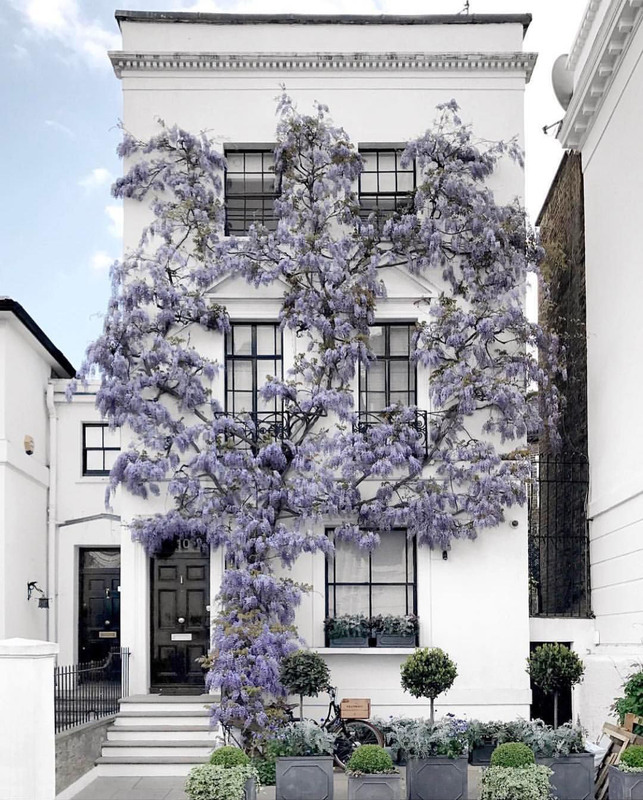 The white façade of this famous number 10 townhouse in Kensington, London, England is beautifully accessorized by purple wisteria in springtime. 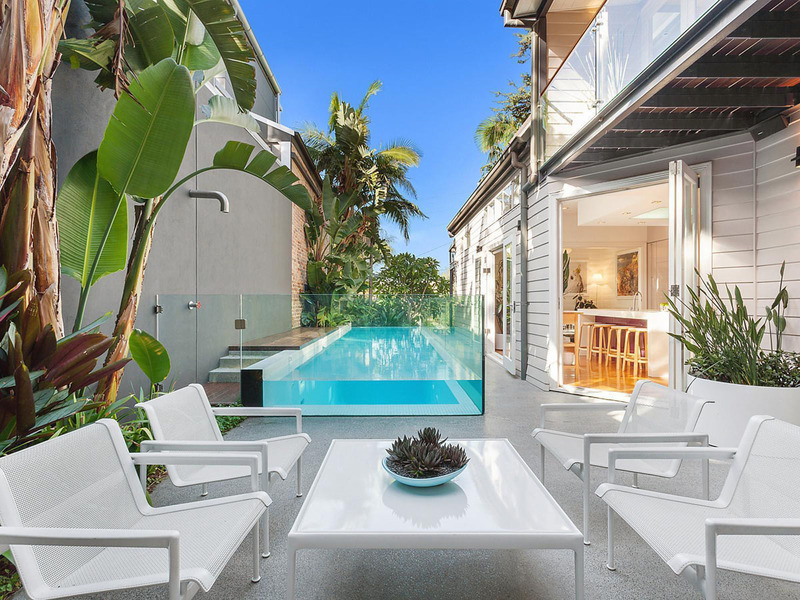 This charming modern family home in Rozelle, New South Wales, Australia, a suburb west of Sydney, underwent cutting edge transformation including a resort-like solar heated courtyard swimming pool. 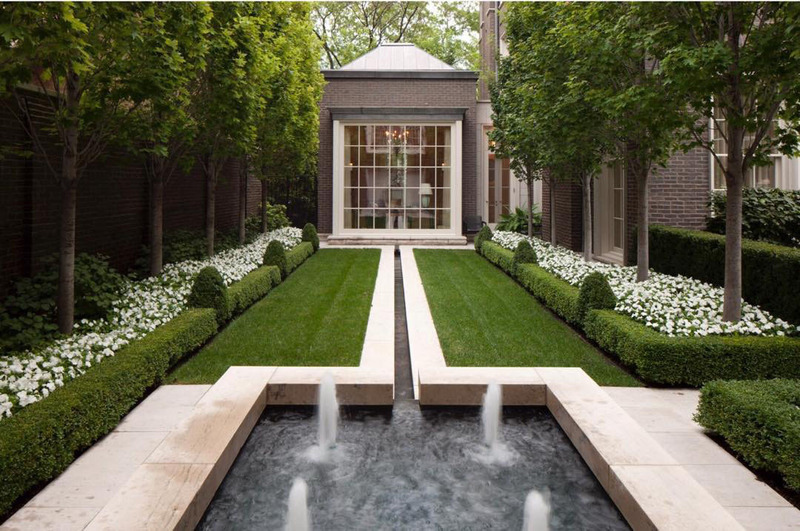 This elegant private garden hidden behind an elegant home in Chicago, Illinois was developed together by landscape architect Hoerr Schaudt and architecture firm Booth Hansen.